Latest 2017 model Support 3D side by side video and VR game, you can search for ‘3D split screen’ to find suitable videos to play, you can search it on youtube Android OS: search ‘Cardboard’ in Google Play (needs Android 4.1+). IOS OS: search ‘Cardboard’ in App Store. Compatibility: Phons and anderoid smart phones Features: Large FOV: you can get a viewing angle of between 95 to 100 degrees, larger than many other vr glasses; Offer you a 1000 inches big screen at the distance of 3m; Offers you super 3D picture effect and wonderful feeling You will not feel visual fatigue and dizzy even you use long time with the resin lens The 3D Glasses is made of ABS and spherical resin lens materials. * Helmet wearing:Adjust the strap to find a comfortable feeling,0-800° no need to wear glasses. * .Built-in a headphone lines, can be inserted into the phone . * .Earphone function button:press function button left and right to adjust voice. Single press to answer phones, play and stop. Double press to next song. * Adjustable pupil distance and sight distance satisfying different groups of people. 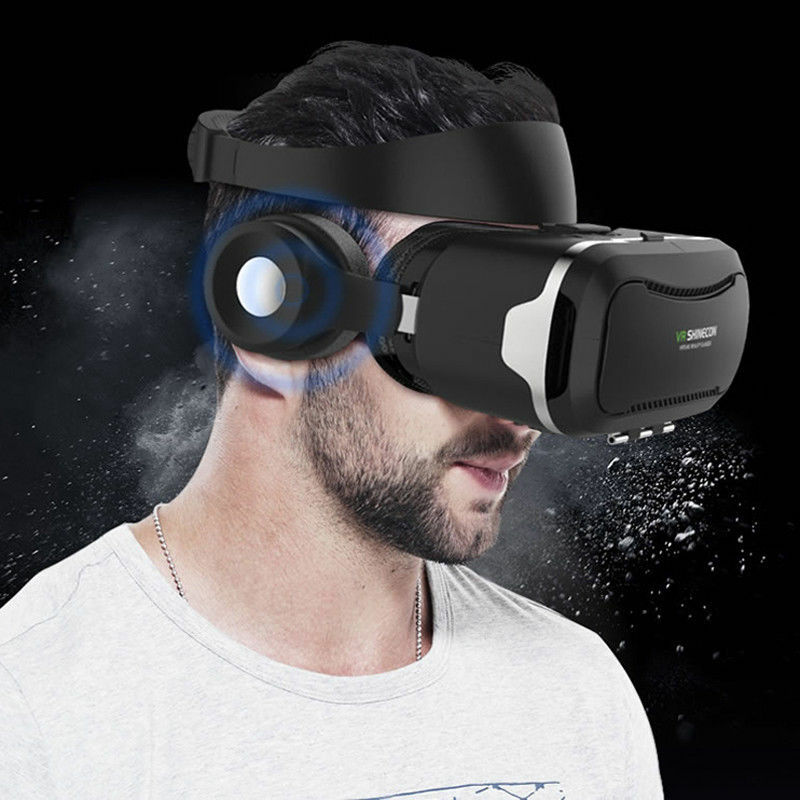 7.3D VR Virtual Reality Glasses, offer you 3D wonderful and excellent experience. *.Support push to talk and volume control. *.Suitable for almost all kinds of smart phones ( Android / IOS, etc). *.Support the screen size of the Smart Phones up to 6.0inch (4.7 ~ 6.3 inch). * Do not use the mobile phone while charging.